Get an inside look at this new Chicago property’s smart spaces, craveable catering bites and ultra green methods. Boleo, a year-round and rentable rooftop lounge on the 15th floor serving bites and cocktails with a retractable skylight roof. 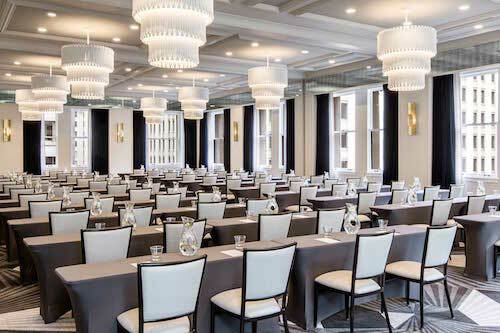 We caught up with Dina Fenili, Director of Sales & Marketing, at The Kimpton Gray Hotel to talk about what makes The Kimpton Gray a prime Chicago meeting and event destination. Q. What&apos;s the most impressive board room or meeting space in the hotel? 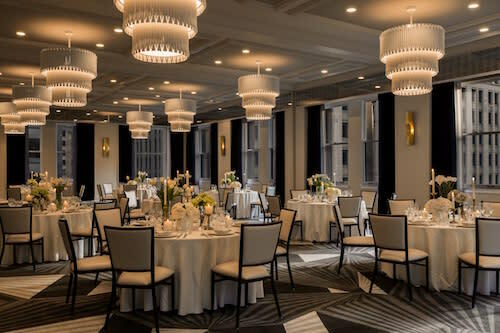 Adler Ballroom has 15-foot ceilings with nearly floor-to-ceiling windows offering a lot of natural light. For social events, this space or Boleo (mentioned above) are our favorites. The Merc Boardroom is a great room and ideal for meetings up to 18 people. It is a smart boardroom which means we are ready for guests to "plug and play" with a smart touch-screen TV and poly-com. Q. 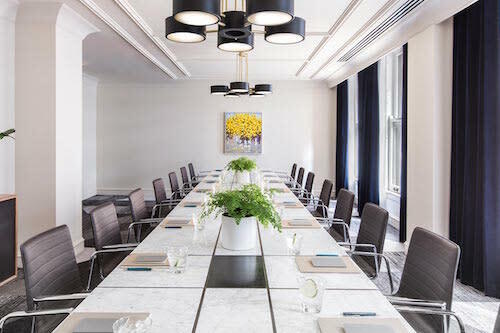 What makes The Kimpton Gray Hotel a unique venue for meetings? All meeting spaces have natural light and city views. We have flexible meeting spaces that offer "meet and feed," meaning we can host their meeting in one set-up in the center of the room and meals in rounds on the exterior of the room. We also organize year-round events in Boleo, our rooftop lounge with retractable roof and Argentinian and Peruvian theme. 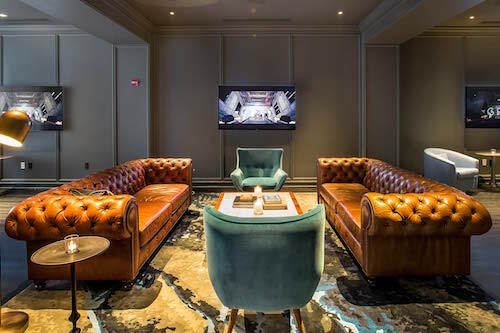 Q. What&apos;s your favorite VIP amenity at The Kimpton Gray Hotel? Our home-made Boleo cola (home-made syrup paired with soda water—guests do the mixing to their taste!) + Alfajores, a favorite Argentinian confection. The building was originally completed as the New York Life Insurance building in 1894 and considered Chicago&apos;s second skyscraper. It was a major attraction of the World&apos;s Columbian Exposition of 1893. Due to the office tenants that resided in the building for the last 122 years, we were able to collect some lovely art effects. We uncovered a magazine from 1917 under a floor board as well as many original law books from legal offices throughout. Those books are a tribute to our previous building guests and proudly sit on the shelves of our Library Lounge Bar, Vol. 39. Q. Top food items on the catering menu? Mini twice-baked potato passed appetizer and our craft burger bar lunch buffet. Q. Can you share some green meeting opportunities? We send all proposals, sales kits and media kits out electronically or via USB at site inspections. Executive meeting sets are not set up unless requested as we have found not all guests want to use paper with the technology options. Our meeting rooms, general area and guest rooms have lights that automatically turn off when room is not in use. Water is served via carafe unless bottles are requested. Learn more: find special deals and small group discounts.